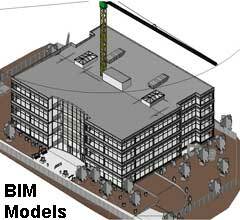 Building Information Modeling (BIM) is revolutionizing architecture, engineering, construction, and facility management. This future is each discipline working together based on an integrated and living database and virtual model of your building. Optimizing this technology for your firm and your projects is much more than just learning the software: it's understanding how we can best leverage BIM's capabilities, work together, and build exceptional projects. This means new ways of doing business, new models of managing your internal and external teams, and new formats for project data, documentation, and evolution.